Since taking over the captaincy in November, Finch has averaged just 22 from 11 innings, passing 50 just once. If Finch fails to perform, the selectors will be left with a very difficult decision to make on the eve of the World Cup. Back an out-of-form captain going into a World Cup, or pick a new captain just before the World Cup. If Finch were to be dropped, there wouldn’t be many options to replace him as captain. From the current team, there are only three viable options for captaincy: Usman Khawaja, Peter Handscomb and Glenn Maxwell. The issue with Handscomb and Khawaja is they’ve only recently become regular members of the Australian ODI team. While the issue with Maxwell is his lack of captaincy experience, he has had one season captaining his IPL team the Kings XI, and captained the Melbourne Stars in the most recent Big Bash season. None of the three have any experience captaining at international level. Alex Carey is also a concern. His batting has been average without being outstanding. His wicketkeeping has become a bit of a problem. He has missed multiple chances over the last couple of games. The solution to both the captain and wicket-keeper position is simple. Tim Paine. Paine is certainly the best wicketkeeper in Australia. He is also a very good captain. 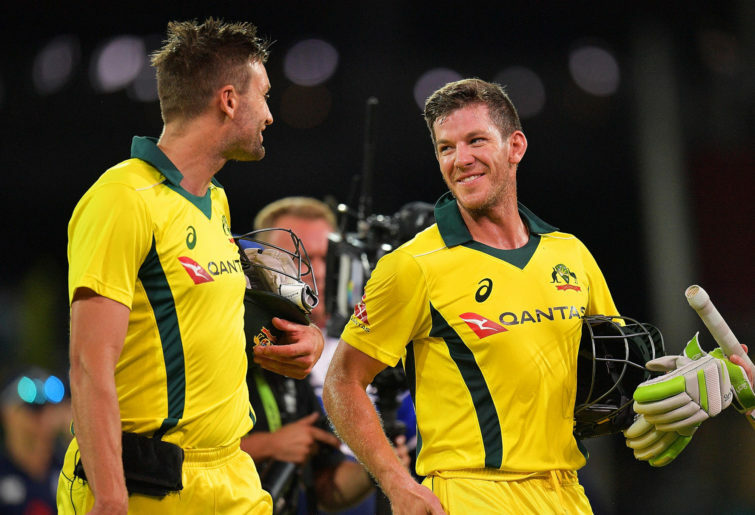 If Finch and Carey fail against Pakistan, Tim Paine should be the man to lead Australia at the World Cup. The team would have Usman Khawaja opening the batting with David Warner. Steve Smith, Handscomb and Marcus Stoinis bat three, four and five. Maxwell would bat No.6, and could be pushed higher up the order depending on the circumstances. Ashton Agar should get the nod ahead of Nathan Lyon as the second spinner because of his superior batting. He would bat seven, with Paine batting No.8. Pat Cummins, Mitchell Starc and Adam Zampa should round out the eleven. Nathan Coulter-Nile and Jhye Richardson would be the reserve fast bowlers, D’Arcy Short would be the reserve all-rounder and Aaron Finch the reserve batsman.